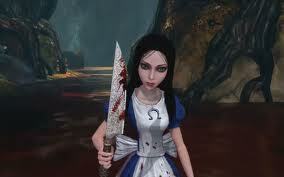 Alice Madness Returns. . Wallpaper and background images in the video game club tagged: game cover video game alice madness returns hysteria mode alice madness returns in wonderland. This video game photo might contain surcoat, áo lót, áo choàng ngoài của kỵ sĩ, and tabard.